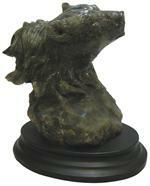 Item #MN-3210-1: Approximately 4 3/4" tall Labradorite Bear on a 1" tall stand. 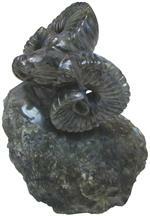 Item #MN-H11: Approximately 3"x5.5"x6.5" tall Labradorite Big Horn Sheep. 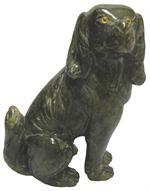 Item #A-11: 6"x3"x7.5" tall Labradorite Dog. 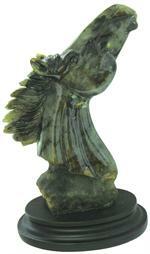 Item #MN-3210-3A: Approximately 7" tall Labradorite Horse on a 1" tall stand. 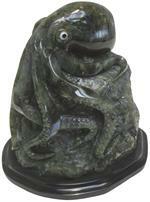 Item #MN-H5: Approximately 4.5"x4"x5" tall Labradorite Octopus; Mounted on 11mm Black Basalt base.